Misty Mountain is perched at the top of an impossibly steep, kilometer long drive that rises swiftly through lush cloud forest, isolating it from other farms and the modern world. The screech of monkey and the call of bird let you know you have arrived at a truly remote and magical refuge. 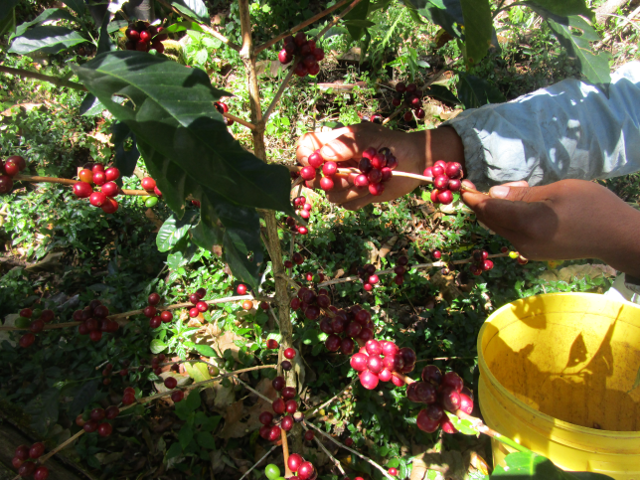 The property consists of 12 hectares, approximately 5 of which are currently planted in Geisha, Catuai, Typica, Pache, and Pacamara, Geisha being the dominant varietal. We continue to expand the plantation each year. 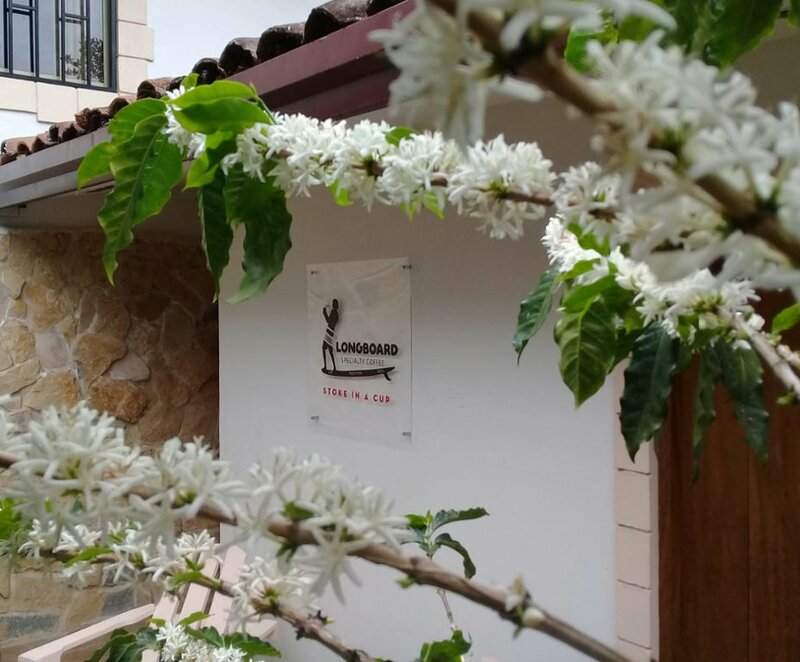 The farm rises from an elevation of 1500 to 1750 meters above sea level, with the traditional varietals planted in the lower section, and the Geishas content to dominate the higher elevations. The orientation is primarily south facing with some west with mainly gentle slopes and intermittent flat areas. 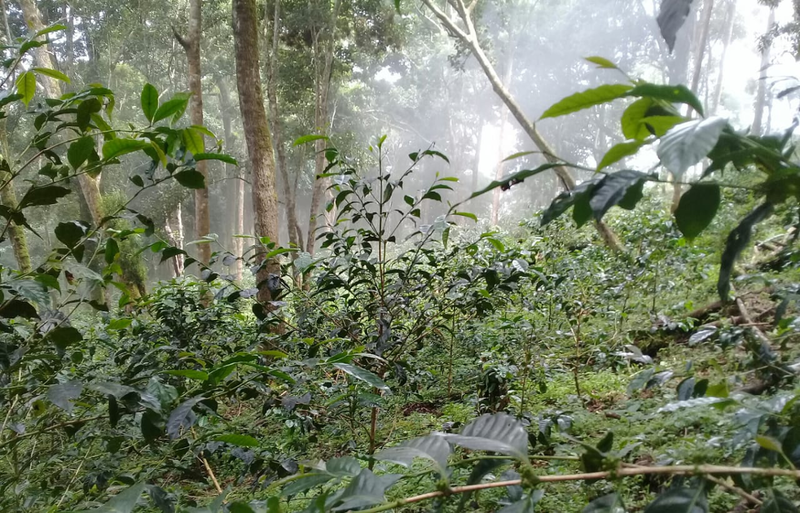 The southerly exposure allows for more sunlight to penetrate the canopy, while protecting the plantation from the damaging north winds of the dry season. Much like the Great-Grandfathers of today’s Boquete coffee producers, we have toiled for years against incredible odds to carve this farm from the remote forest, respectfully leaving all large trees, developing our own water system, constructing our own housing, truly starting from scratch with only 2 employees. It has been our passion and it is quite a joy to cup the results! We hope you thoroughly enjoy every delightful sip. This superb coffee exhibits the complexity, balance, and plethora of exotic flavors and aromas found in the finest wines of Bordeaux. Will Young, head judge of Best of Panama 2018, gave this coffee a final score of 95.25, Mike Perry called it a “bowl of berries” and six of the seventeen international judges scored it above 93 points. Exotic tropical aromas and a fruity geisha nose leads to intense notes of jasmine and passion fruit. Very sweet with hints of apricot, vanilla, cherry and pink candy, with a bright orange acidity supported by a luscious, creamy body.